Pioneers in the industry, we offer Digital Signage such as Advertising Player, Elevator Digital Display, Floor Stand Digital Signage, Android LCD Digital Signage, Standalone Digital Signage, DID LCD Video Wall & DIY Video Wall and many more items from India. Digital Signage player is configured & optimized for our software’s capabilities. We carry a variety of Players for multiple purposes. Our software is designed for use in the Android operating system, keeping costs low for players and a high flexibility for use in Android Based Smartphones and Tablets. All of our boxes are WIFI Ready to eliminate the cost of obtaining permits and running cabling. Floor Standing type digital signage player with gorgeous design. The content is updated via USB disk or changing CF card. The setup is very easy. You just need to power on the player and update the content, then it will start to work! 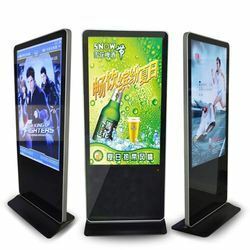 Features with low cost and easy installation, it becomes more and more popular in retail, mall, bank, hospitality, etc. With the R&D ability on both hardware and software, we accept OEM and ODM production. Main outer shell is made by extra quality Iron material, side frame adopts Aluminum Alloy Mould, front Frame adopts 6mm thickness Tempered Glass, which looks more attractive eye. Full new A grade and factory original packing screen. It supports CF card, SD card and USB Port; it is optional for HDMI (1920 x 1080), DVD Player, S-video and VGA port. 4. Safely locking system function to avoid take way flash memory card and advertising playing content, also can be protected by input password. Backed by the team of experienced professionals, we actively offer a wide range of Advertising Player. The advertising player offered by us is made available by us in varied specifications & customized options to choose from. 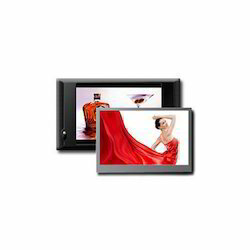 Our experts assemble this advertising player as per the defined industry standards by contemporary technology. This advertising player is applauded by our customers for its IR infrared Body motion sensor and remote control. Remarked for our superior quality and on time delivery, we are the proud manufacturer, exporter, wholesaler, trader, retailer, importer, distributor & supplier of Floor Stand Digital Signage. The offered product is precisely designed under the direction of our professionals using advance technology keeping in mind the all standards of industry. This product is tested on set various parameters to eradicate all fault in it. Our product is available in varied customized options in order to meet the specific demand of customers. 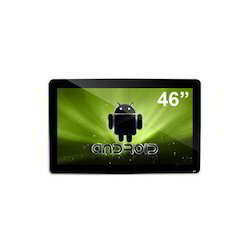 To beat the competition and stand tall in the market, we have committed in delivering a high quality range of Android LCD Digital Signage. Our provided digital signage is designed & developed by our experienced professionals utilizing the best grade electrical components & modernized technology as per the international standards. 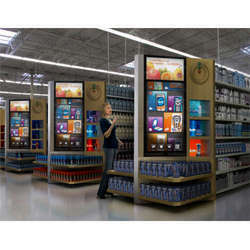 Offered digital signage is highly appreciated by our clients for its superior performance & easy installation. Our customers can avail this digital signage from us at nominal rates. 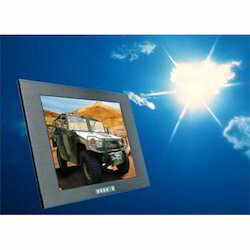 Sunlight Readable (SRM) monitors enable the user to see sharp, clear video images even with bright sunlight directly on the screen. They feature 1,000 or more nits of brightness.